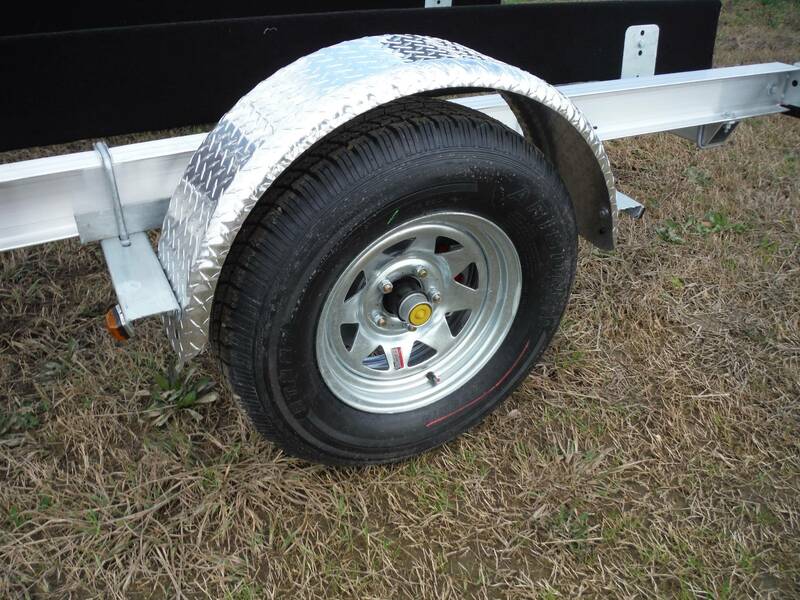 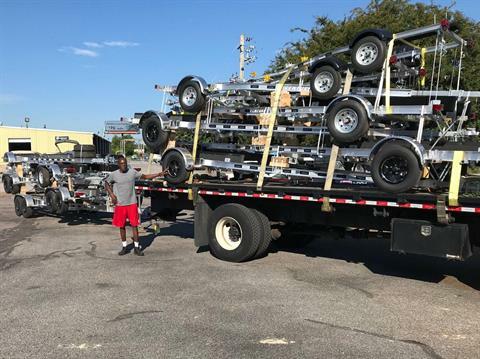 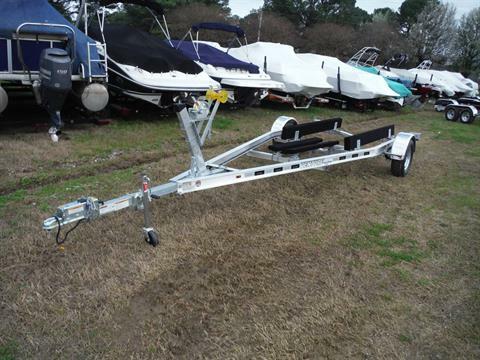 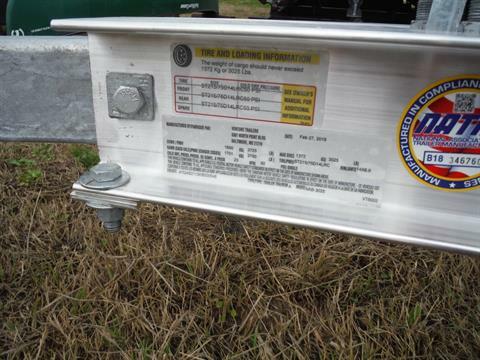 aluminum single axle trailer with disc brakes for 18 to 20’ boats less than 3050 lbs. 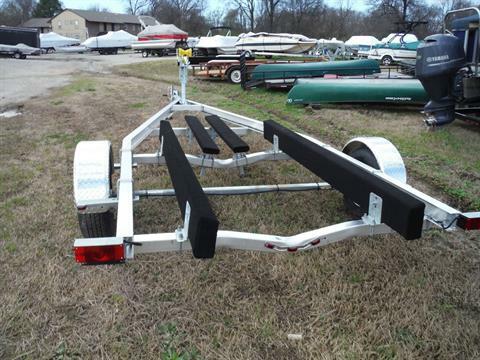 This Venture aluminum trailer will carry boats 18 to 20’ long, that weigh less than 3050 lbs. 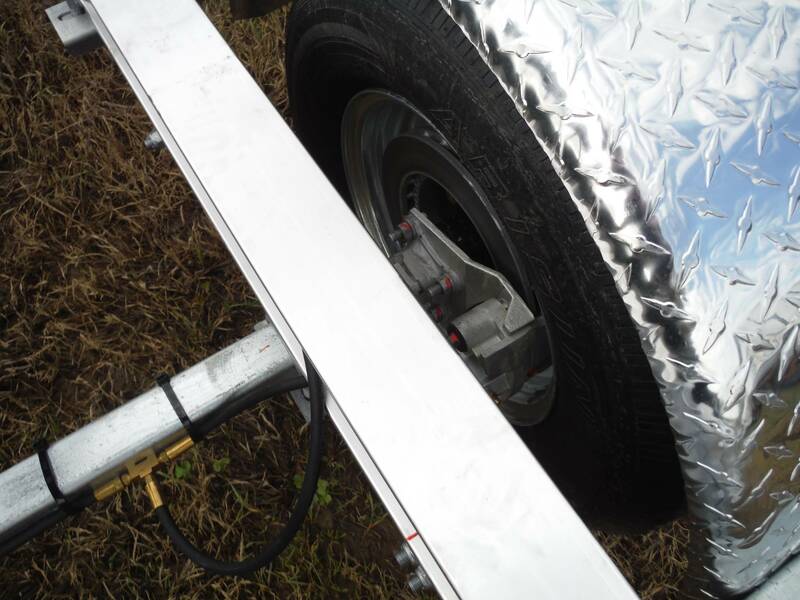 It has a 2” coupler, 5 prong flat trailer lights plug, waterproof lighting, 14” load range C tires, galvanized wheels, torsion axles with Posi Lube hubs, disc brakes, adjustable winch stand and bunks, target bunks, a heavy duty tongue jack and aluminum Diamond-Plate Fenders. 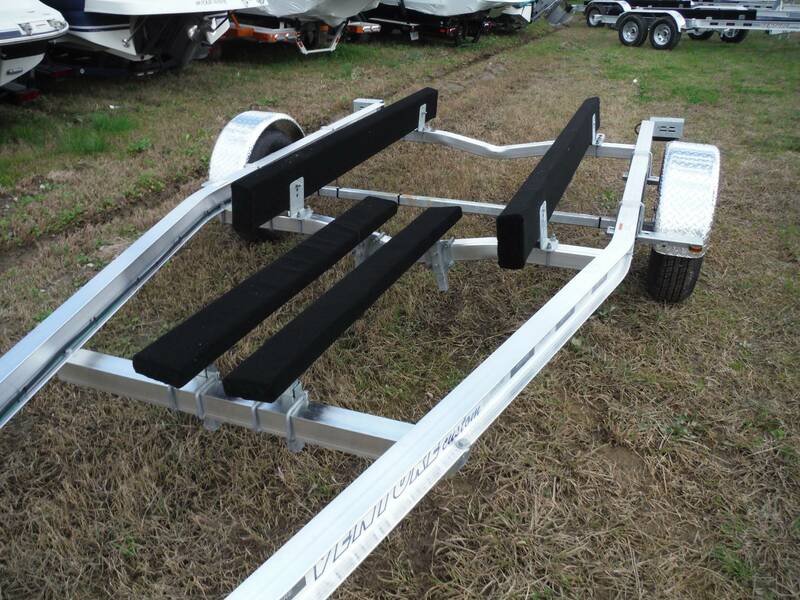 The VAB-3025 is 100” wide and it weighs 775 lbs.